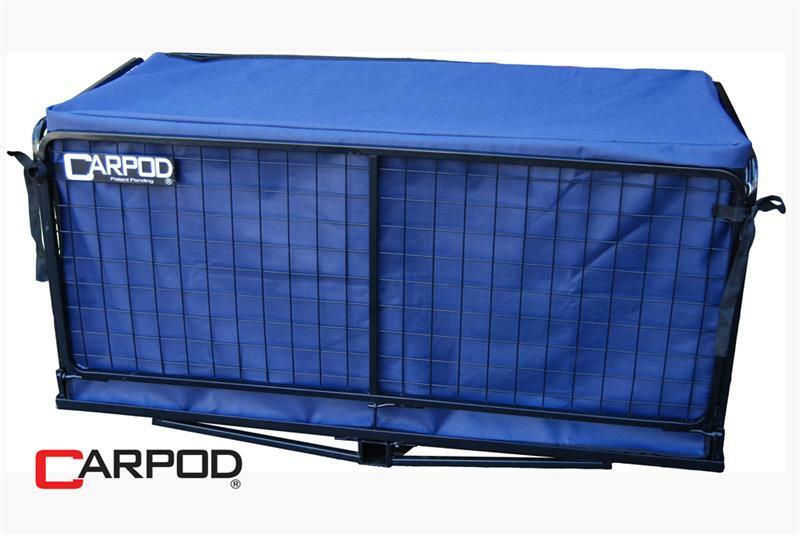 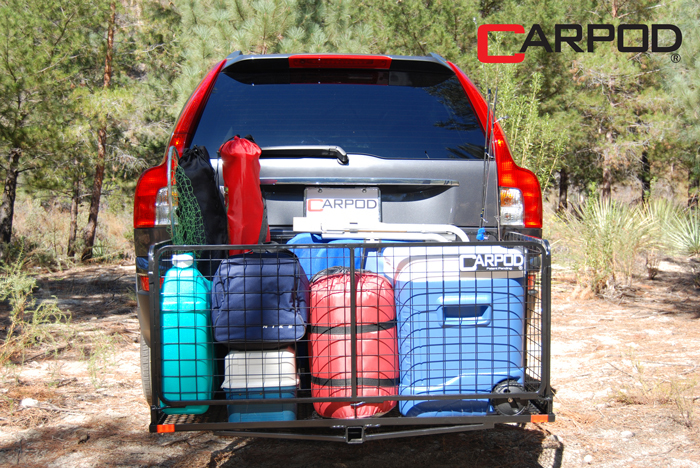 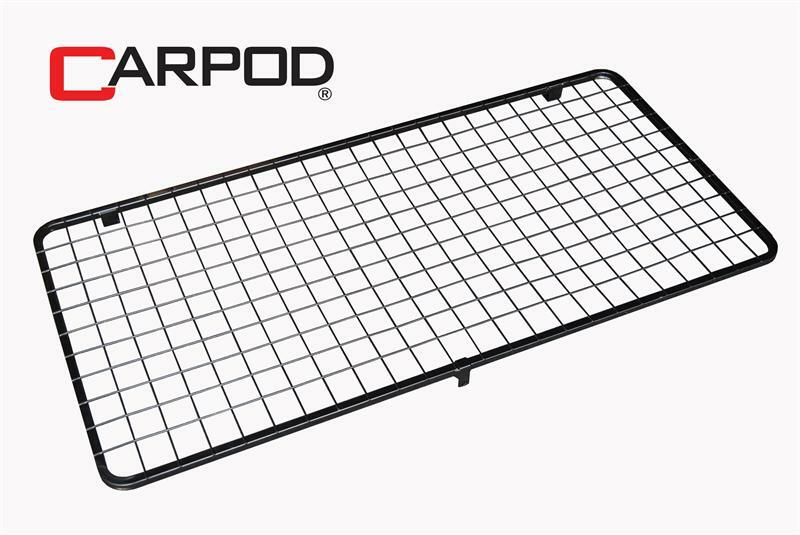 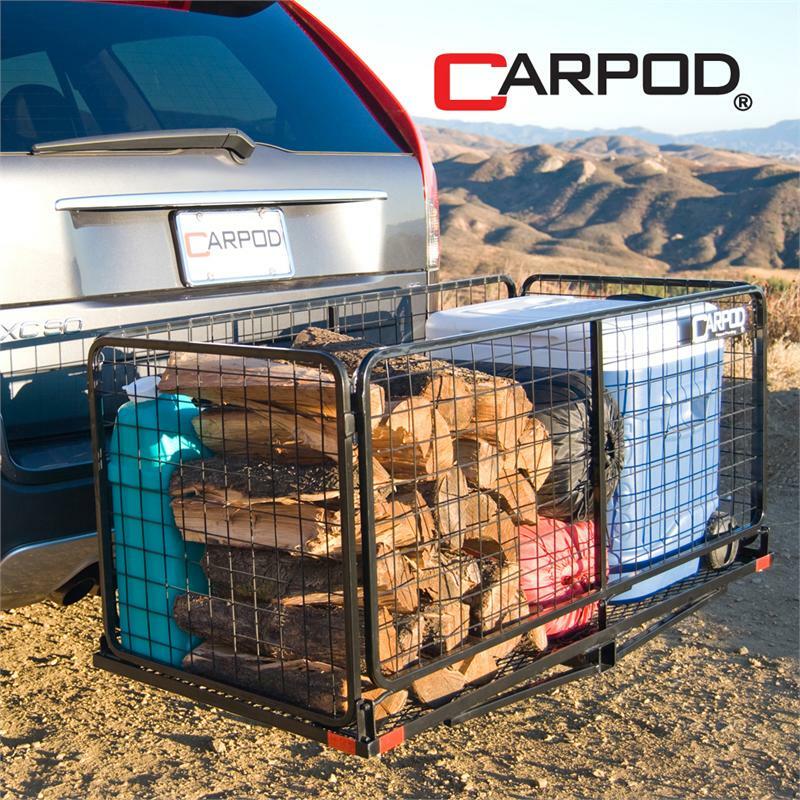 A Carpod cargo carrier basket allows you to carry an additional 13 1/4 cubic feet with you on your camping, shopping or day trips. 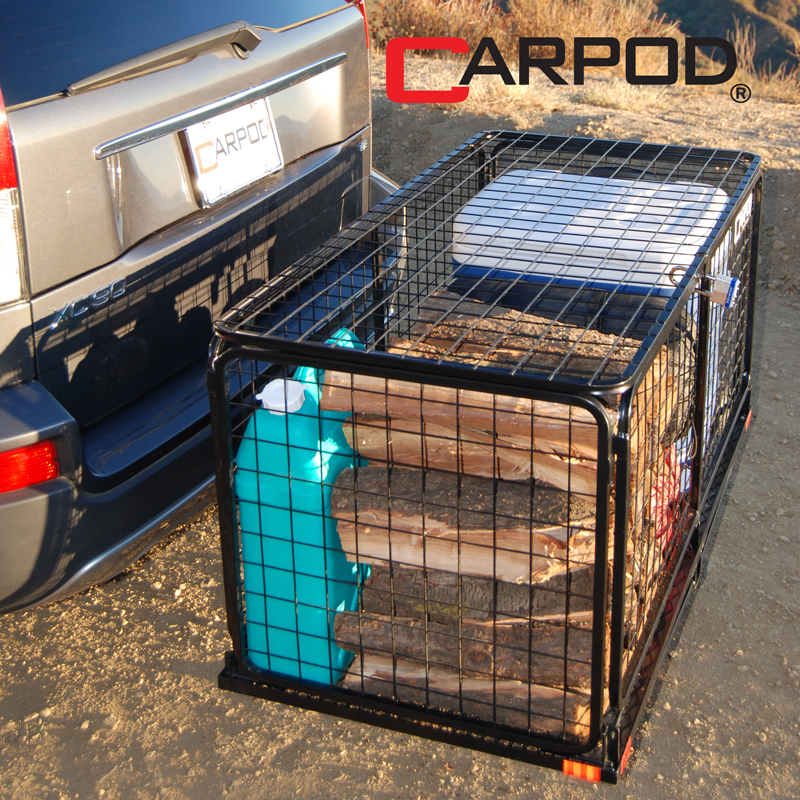 The hitch basket is design with folded mesh sides and a welded one-piece base frame allowing for a 450 lbs weight capacity. 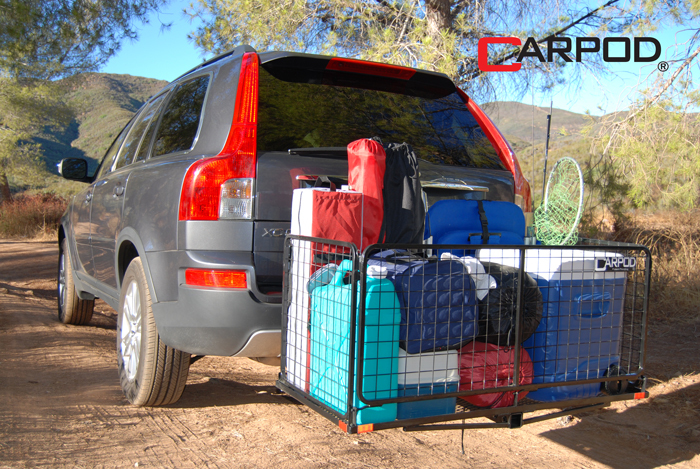 Steel detent pins provide the locking mechanism of the hitch basket cargo carrier's walls allowing it to fold for storage or to be folded out for unloading, helping to avoid back injury from awkward lifting. 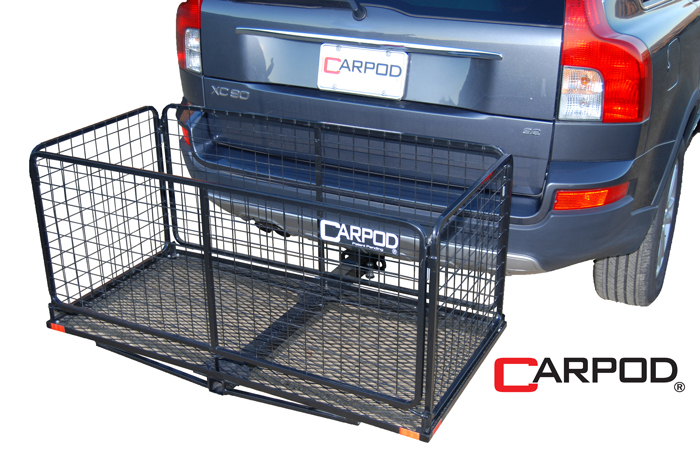 To prevent rust and corrosion the cargo carrier has a black powder coat finish and the base frame has been galvanized. 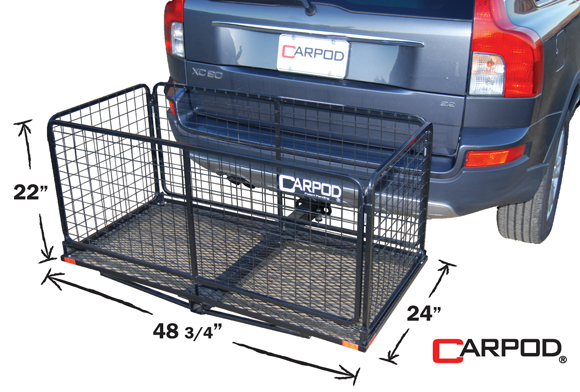 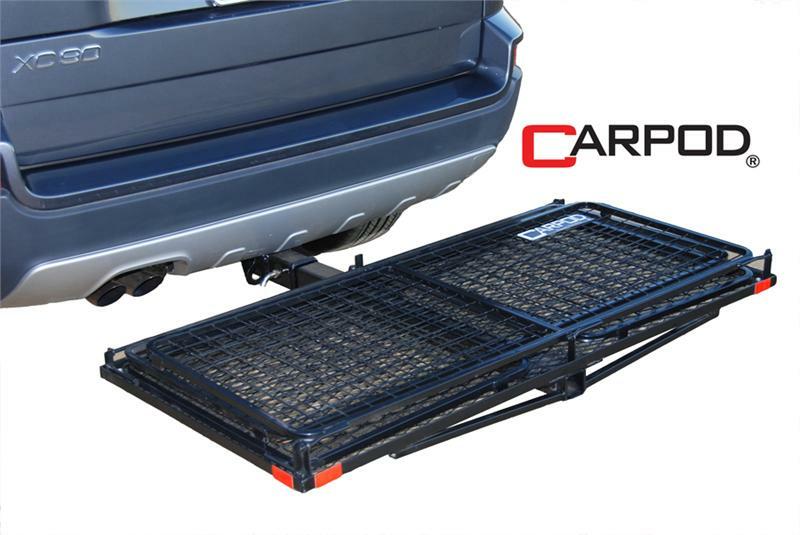 The Carpod cargo carrier basket weighs 50 lbs and can fit a 2" receiver hitch. 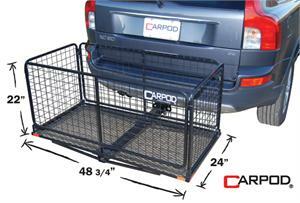 An extender may be needed if your vehicle has a spare tire on the back to allow for the Carpod to fit correctly. 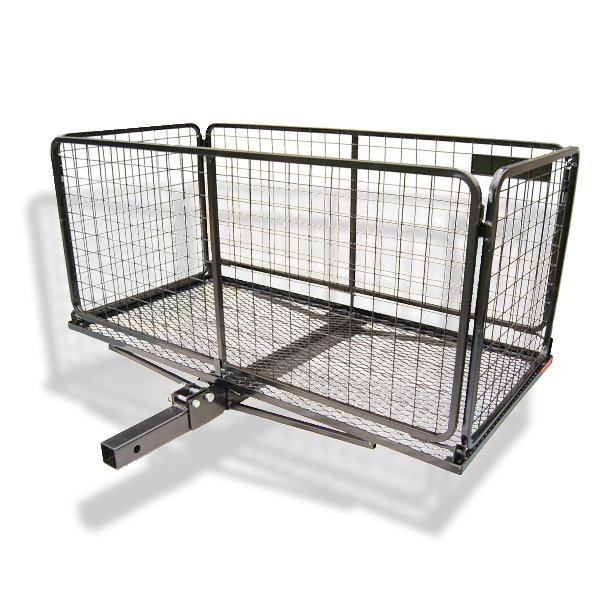 Since this cargo carrier has wire mesh walls certain items will fit more securely reducing the need for extra tie-downs. 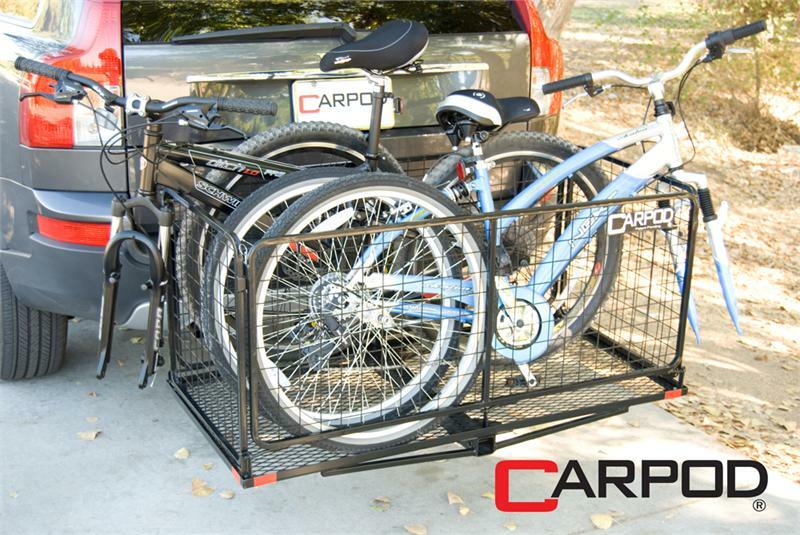 Also available for this hitch basket cargo carrier is an optional locking lid and a water resistant cargo bag. 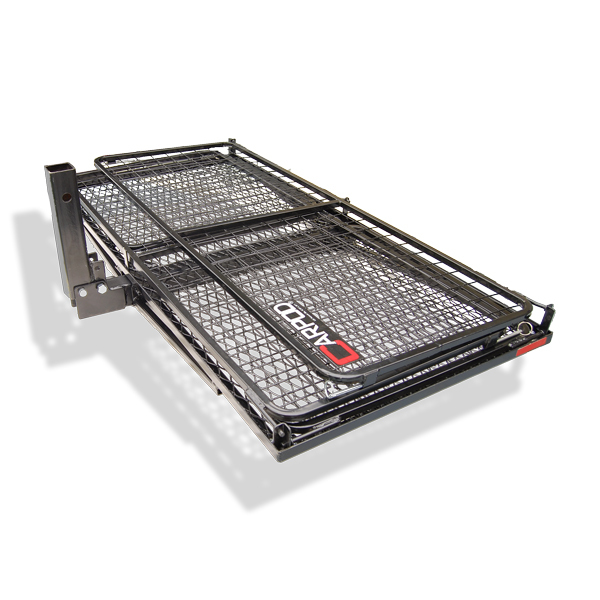 3" raised shank for vehicles with low ground clearance. 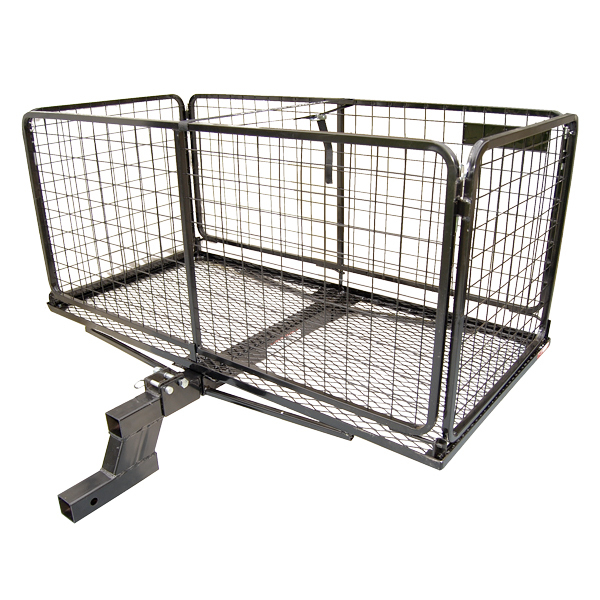 3" raised and folding shank for vehicles with low ground clearance.